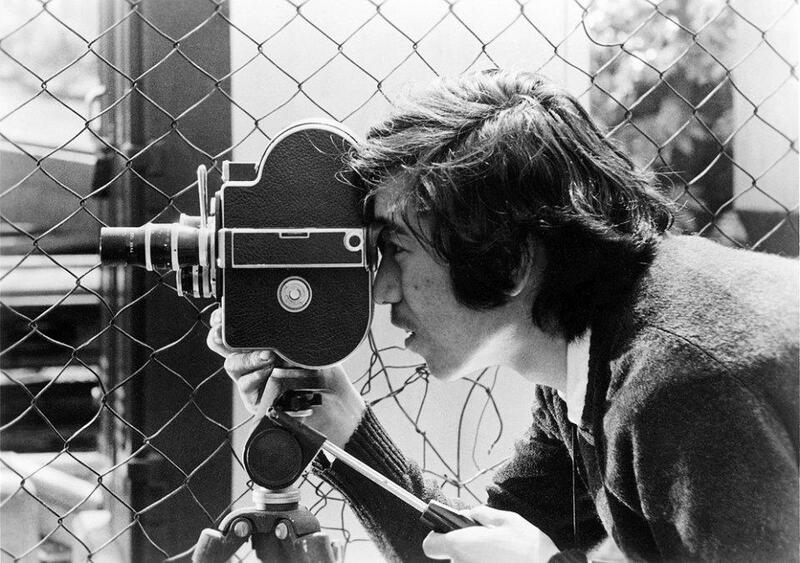 Nagisa Ôshima remains one of the best-known representatives of the Japanese New Wave (Nuberu Bagu). During the 60′s he was particularly active cinematically and he expressed his political beliefs through his films. The radical changes that occurred at the Japanese society during the same period could not leave him untouched. In the late 60s the political views and the way that they were expressed at a national level, had changed considerably since the beginning of the same decade. This dramatic change had irreparably affected New Waves’ politicized filmmakers, and was a reason which led to the end of the wave. 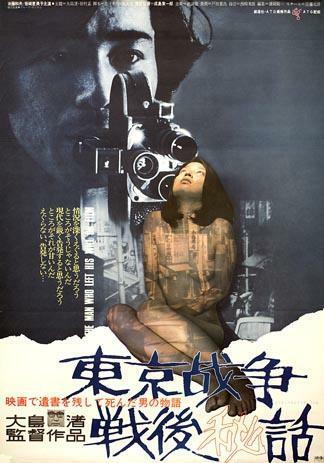 In 1970, Oshima decided to depict these two changes in his film Tôkyô Sensô Sengo Hiwa (Secret Story of the Post ‘Tokyo War’ Period) that became internationally known under the title The Man Who Left His Will on Film. The film begins with a few scenes of a Tokyo’s central street, shot by a handheld camera. A young student, Motoki (Kazuo Goto) seems to chase the cameraman. After a while the cameraman stands at a building’s rooftop and he commits suicide by falling. He still holds the camera that Motoki steals off the ground. It is later revealed that they are both members of a student’s Marxist collective and the camera belongs to the group. Strangely none of the group’s members can remember the existence of the other student. Motoki tries to convince them that his experience was real. The only one that will believe him is Yasuko (Emiko Iwasaki), the alleged girlfriend of the suicide. She is also persuaded by Motoki that her beloved had recorded his will on camera’s film. 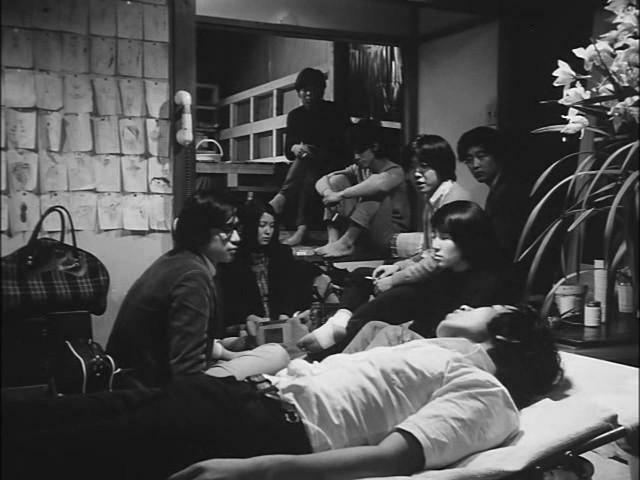 The period that Ôshima chose to shoot the film was characterized by strong and frequent conflicts between police and groups of students. The protesters were organizing concentrations to resist the political choices of Eisaku Sato‘s government. One of the main demands of the protests was the withdrawal of American forces from the occupied province of Okinawa. 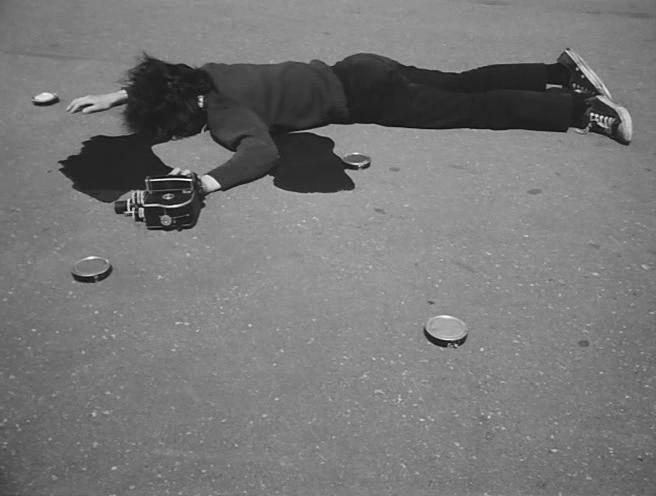 Ôshima captures one of these demonstrations that took place in autumn of 1969 and he uses the footage in the film. Although he himself felt alienated from these new practices since the movements that existed at that time were quite different from those in which he participated in the previous decades. The methodologies that the new activists tended to use were less active and more theoretical while their ideologies seemed different from the traditional communist ideas and closer related to the new radical left movements that emerged in France and the USA. Even though Ôshima realizes the existence of the generation gap between him and the young revolutionaries, he wants to make an attempt to approach them. What he really achieves though, is a communication with his fellow colleagues who belong to his older generation. By using younger generation’s ideology, he tries to give a precise etymology to what a film is. Following the prism of Marxist analyses and theories he attempts to determine the role of cinema generally as an art as well as a political tool for the revolution. Of course the disagreements are inevitable, since these questions remain largely unanswered. Using these theoretical researches, Ôshima announced the end of cinema, of the New Wave, of politics and of activism, at least in the form that he had served them. The cameraman, who haunts the movie, is probably the main reason why the film has a more autobiographical nature. The only person, who is filming in the movie, is killed. It seems in a way that the director puts himself in the place of the deceased, suggesting that now the need and the reason of cinema’s existence are both dead. If there is something worse than his physical death, this might probably be the result of his work. His material, that everyone considers as his will, and consequently should be his most defined work, is actually a series of empty landscapes. The repeated discussions and analyses that follow, are trying to approach the deeper meaning of the shots captured by the cameraman, but it seems impossible to give a meaningful explanation. Following a more pessimistic interpretation, Ôshima just wants to point out that now most of the shots are dead, they cannot provoke anyone neither morally nor politically. He succeeds to create the required temptation only when he is using Yasuko’s naked body as a canvas to project the film on. Substantially, cinema has become harmless, dull, and empty and can no longer be the incentive to any change or the tool of social pressure. According to the original assumption it could be the director himself the one who ultimately leaves his void testament on film. The influences from the Nouvelle Roman are prominent in Ôshima’s narrative. Seemingly the narration has no consistency and all the visible parts of the story seem to be fragments of another story whose continuity is still missing. Theoretically two main heroes exist, Motoki and Yasuko, who do not have a true personality, they seem transparent and they simply follow the events. The director demands his heroes to solve a puzzle without having at their disposal all the pieces needed. Inevitably, the heroes will have to build the missing pieces on their own, but since they are based on an imperfect and incomplete memory they tend to make cyclic repetitive movements. The persistence on repetition, especially with the scenes that we watch from the beginning of the film till the end, is intensifying the feeling that there are some unexplored memory lapses. Even without disclosing the subversive end, the narration seems to be recycled and that each time returns almost the same with slight variations. Perhaps this constitutes another piece of self-criticism on cinema and the obvious lack of fresh ideas. Ôshima is performing a Requiem for his New Wave and through this he is attempting to cover everything. From the annoying narrative gaps and the political changes till the real problems of the art and the alienation that he himself feels as a director. It seems that his proposition is this highly personal film which raises too many questions but the only answer that can provide is death. Tôkyô Sensô Sengo Hiwa is less poetic and visually not as stunning as his previous works. He still follows the experimental path of the past but he doesn’t seem capable to fulfill the expectations that are created. Of course it is quite possible, that the sense of emptiness that is created during the film is just another way for Ôshima to depict his dissatisfaction and his opposition to everything that bothers him. Calin Peter Netzer directs a powerful family drama of characters under Romania's post-communist corrupted society. Golden Bear at the 63rd Berlin Film Festival. 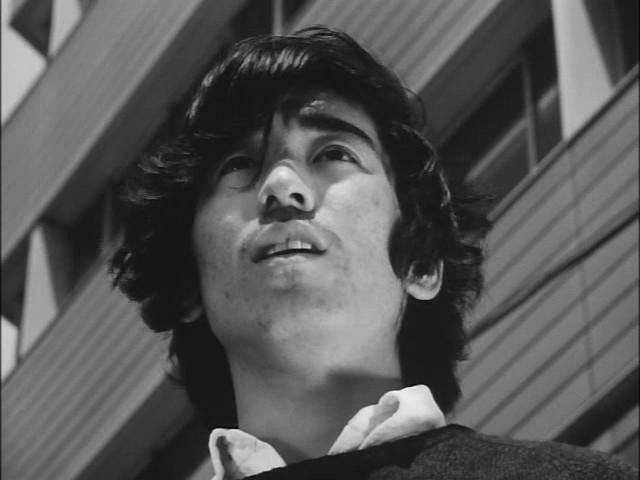 A sharp reenacted mockumentary by Adrian Sitaru, that watches from a humorous perspective the rightfulness to abuse people for the sake of art. Deniz Gamze Ergüven creates a "joyful" feministic fairytale that explores if teen rebelliousness and sexual awareness can survive in conservative Anatolia. Heart of Sarajevo for Best Feature Film at the 21st Sarajevo Film Festival.